Give your 32 Auto pistol the power it needs to topple a threat fast and effectively with this cartridge from Speer’s Gold Dot line of ammunition! 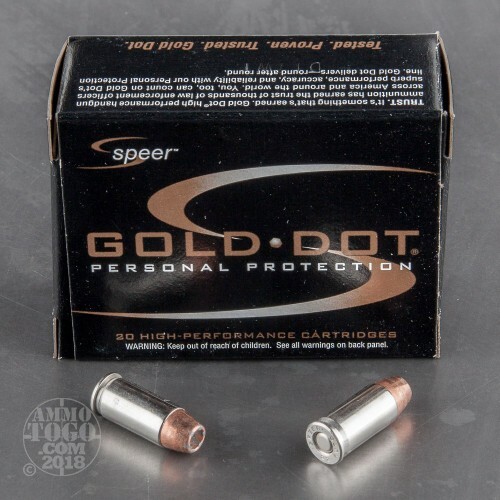 Its 60 grain projectile delivers terminal performance that you can depend on, because its hollow point nose cavity has been formed over the course of a two-stage process that ensures it expands to the correct width and at the optimal rate for effective personal protection. 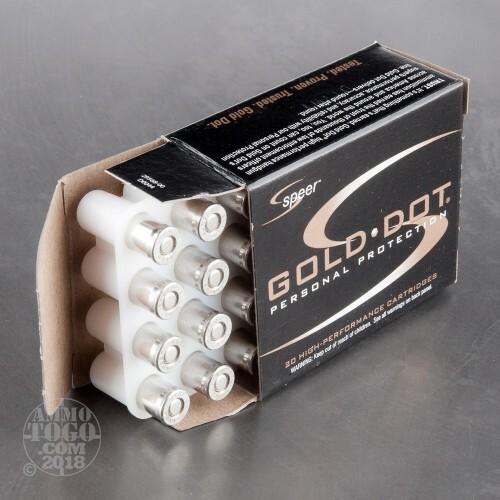 This is an exceedingly accurate projectile as well, because its jacket has been applied one single molecule at a time, electrochemically, to ensure its superior concentricity. 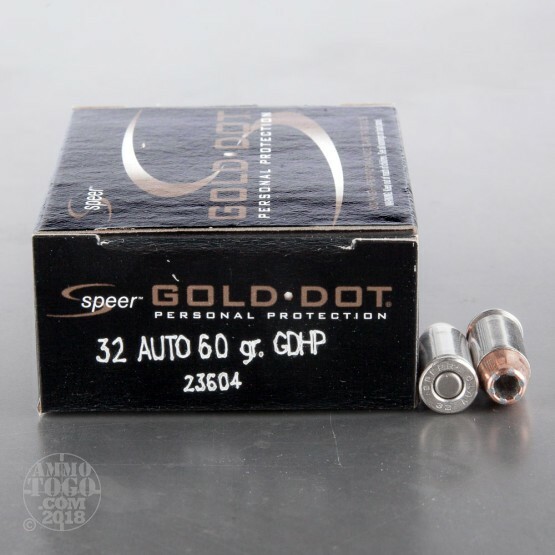 Furthermore, because its jacket is bonded so tightly to its core, this is a bullet that exhibits virtually flawless weight retention as it penetrates a target. Speer outfitted this round with a select clean burning propellant and CCI’s own sensitive primer. 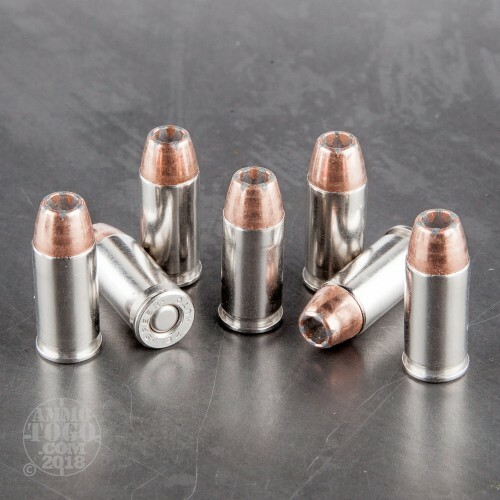 Its brass casing additionally wears nickel plating, a feature that promotes smooth feeding in a semi-automatic and guards the round against corrosion and tarnishing.